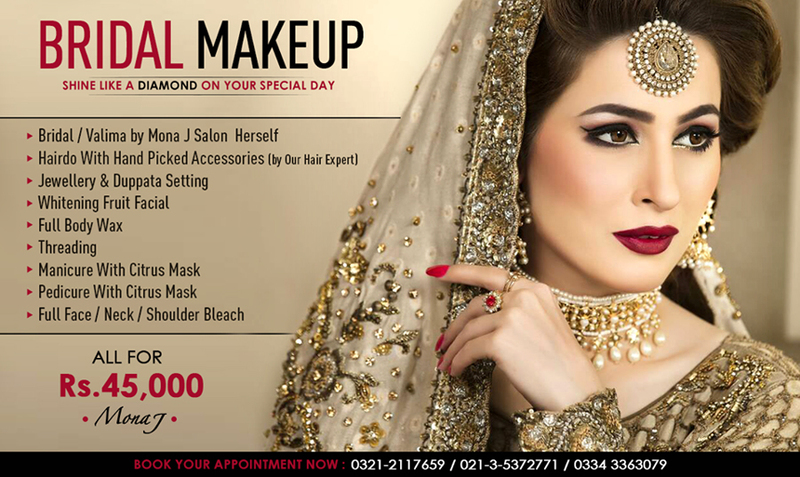 Mona J Salon was established in 2006 by Mona Jamal and has grown to be a popular choice for salon services and bridal make-up. The salon offers a contemporary atmosphere with a friendly, competent staff that caters to the customers needs to exceed expectations. 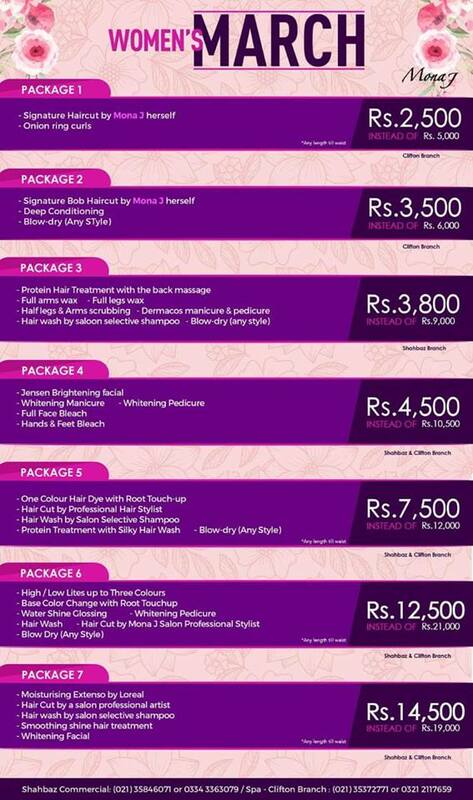 The salon offers all types of salon services including hair cuts, color and hair treatments, body massage with aromatic oils, OPI manicures and pedicures, whitening facials and more. 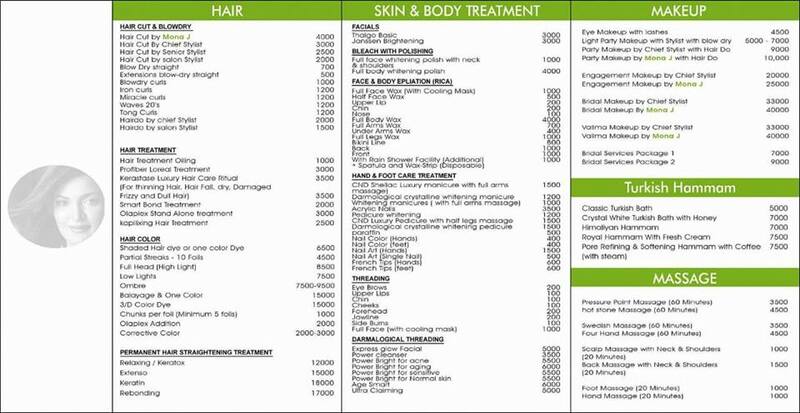 All services are performed using top of the line products including Dermalogica and Guinot. With hard work, perseverance and passion for the art of styling, in a few short years, Mona J Salon has established itself in the market as one of the leading salons and a popular choice for bridal and party make-up. The salon specializes in haircuts, hair color and other special hair treatments while also offering manicures, pedicures and all other types of services in a relaxed and professional atmosphere. The Mona J team has maintained its position at the vanguard of the fashion world to redefine the boundaries of creativity. By learning and teaching in a progressive environment, their imagination evolves continuously with a mix of modernist and creative experimentation. Deriving inspiration from aspects of international art, design and fashion, Mona J Salon implements techniques that offer new looks and experiences of transformation. Mona J received her masters degree in economics and has earned many beauty diplomas from around the world. She sees beauty from a different angle and enjoys creative expression. Mona J established the salon with a vision of introducing infinite expression of artistic colors. 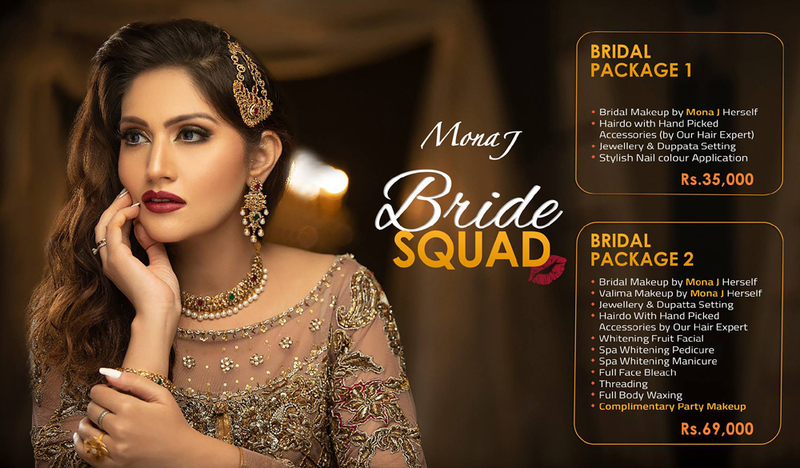 Mona J has worked with several celebrities and industry leaders including photographers Fayyaz Ahmed and Amean J; top models including Iraj, Nadia Hussain, Aayan, fauzia and more. She has also worked with many multinational companies such as Q Mobile and also participated in the fashion show of Karachi Fashion Carnival. Mona J is adamant about not compromising on quality and aims to develop a long-term trustful relationship with her clients. She believes that the customer should receive exceptional service and leave having had the most relaxing and satisfying experience. Top quality products are used at Mona J including Label M, Dermalogica, Guinot and other products that are considered to be of the highest standards according to international industry. Mona J takes special care in hygiene and safety standards for all services offered at the salon. Mona J is committed to excellence and passion which has made the name Mona J synonymous with outstanding quality and style. The salon looks forward to serving you in the near future. 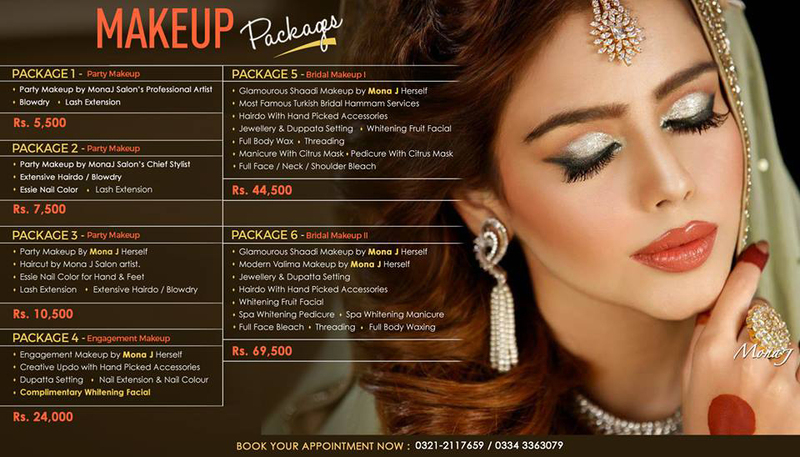 Special Services: Will travel to other cities for bridal make-up. Classes Offered: Make up classes, professional hair cutting classes, professional coloring classes, professional makeup classes and self-grooming. Please inquire within for more information. Products Used: Dermalogica, Guinot, Opi, L'Oreal, Wella, Igora, Label M and other top quality facial products & make-up. Accepts Credit Cards: Yes, all major cards accepted. 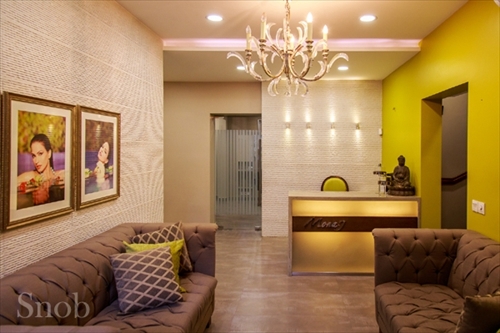 What to Expect: A caring and professional team offering services in a contemporary atmosphere. Mona J specializes in hair care and bridal make-up.